Timber Rattler Sweetgrain Damascus Caping Fixed Blade Knife | BUDK.com - Knives & Swords At The Lowest Prices! 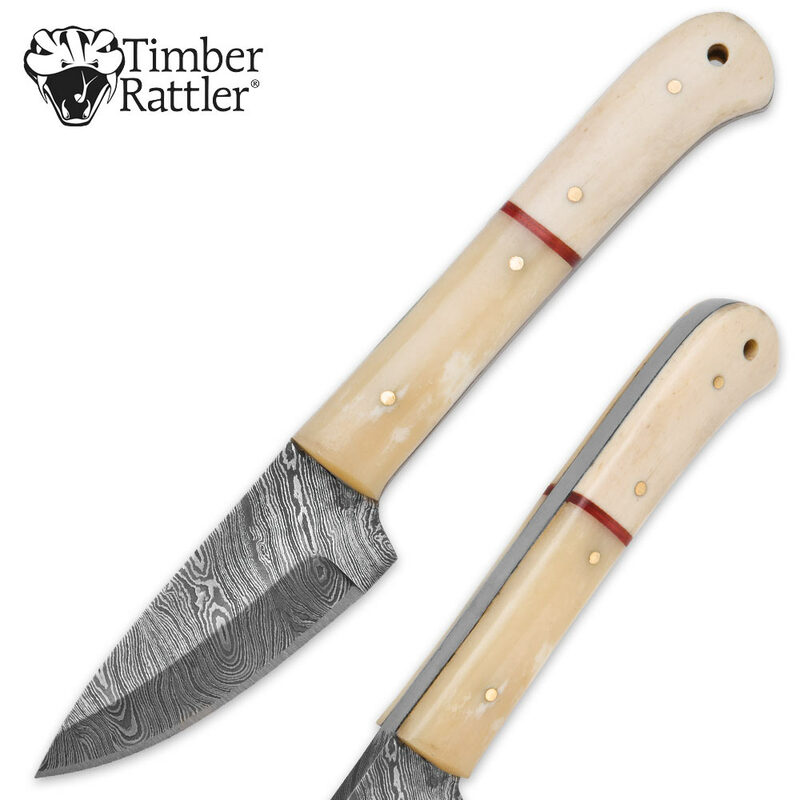 A sweet solution for all your delicate skinning jobs, Timber Rattler’s Sweetgrain Damascus Caping Knife is truly a stunner, even covered in blood and fur. Contrasting swirls blanket the 3 1/2” 1095 Damascus steel blade, the result of red hot steel being hand hammered and folded hundreds - even thousands of times in a centuries old metalsmith technique. 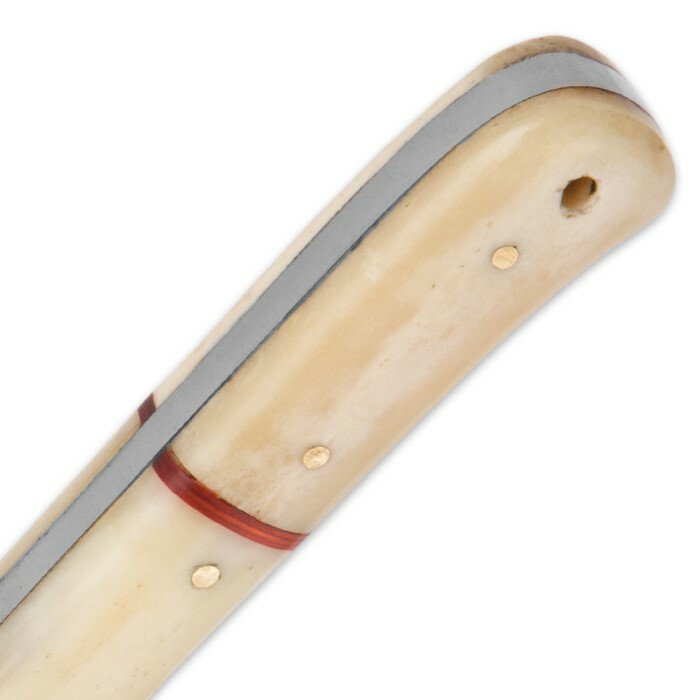 The silky smooth elongated bone handle affords supreme control while performing fine tasks like animal skinning. A fitting complement to the whirling Damascus steel, the pearlescent bone is naturally comprised of thousands of unique grains of its own polished to a radiant glow. The “Sweetgrain” comes housed in a deep coffee hued leather sheath, a beautiful contrast to the lightly colored bone. Take one look at this gorgeous 8” fixed blade knife, and you won’t be able to decide whether to take it with you trapping or hunting, or to display it. Get two - one to use, one to showcase! It’s easy with our astonishingly low prices!